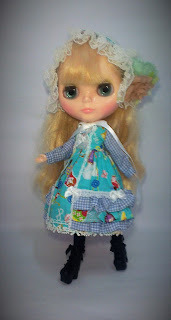 Playscale Magic: A Very Pretty Handmade Outfit! I was so excited to receive this in my mail 3 days ago. This outfit set took awhile to arrive, but it was still really worth waiting for. 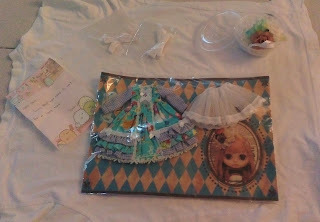 In the package, contained a note from the maker, 1 dress, 1 headdress, 1 tulle and two pairs of socks. 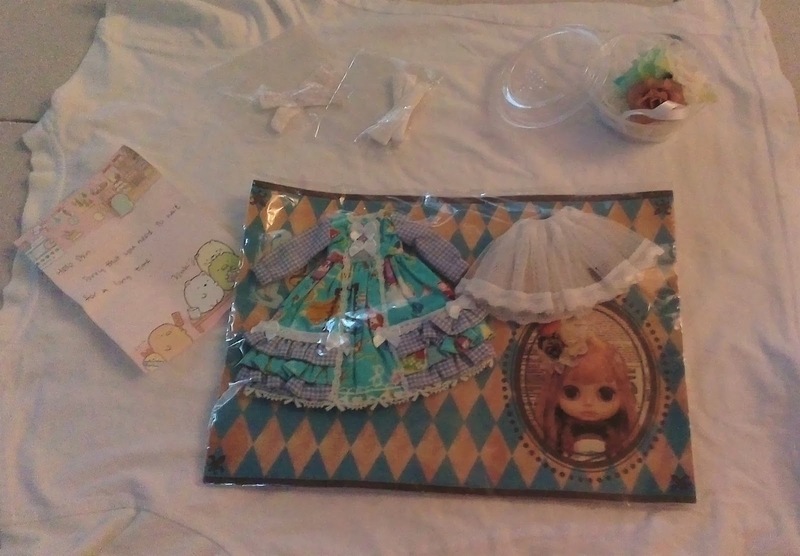 I am grateful to the maker, so I the maker some photos of the outfit and a reply to her hand written note yesterday. 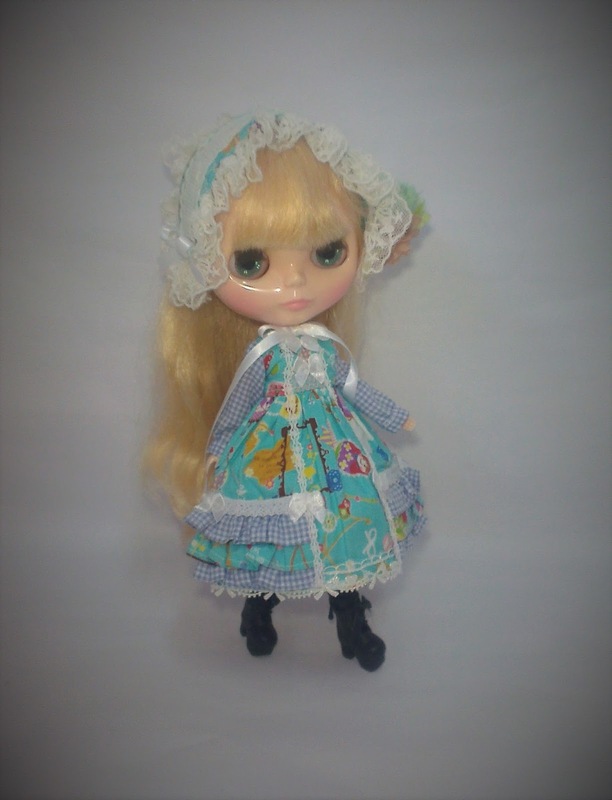 The outfit set has this 可愛い [cute] Gothic Victorian Romantic vibe / look. The dress is really well made with so many fine details that catches your eyes from every angle. The headdress is adorned with soft laces and prettily placed flowers that are not over powering with colours. 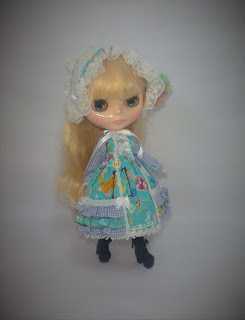 The tulle does it's job by puffing up the skirt of the dress making it look full and layered. 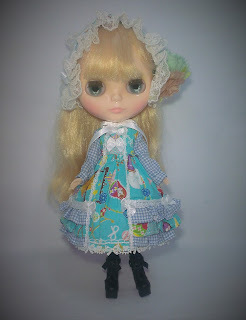 My Blythe girl Scotty was the only one I had in mind for this outfit and the end results was gorgeous. 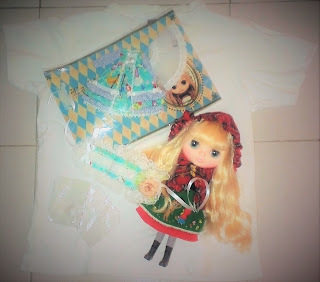 Sorry for the blurry photos documenting the items, because I could not switch on any lights during the photo shoot.